For better or worse, Star Citizen has the honour of being the most talked about game in the history of PC gaming, something some may find surprising taking into account the game doesn’t even have a release date yet. This hasn’t stopped Star Citizen from breaking new crowdfunding records (it passed the $170 million US dollar mark recently). But since the game’s development began in 2012, there’s been plenty of criticism levied at developer Cloud Imperium Games (CIG), an outfit headed by industry legend Chris Roberts. After all, the game has no release date yet after more than four years in development, and its single player campaign (titled Squadron 42) was originally slated for a late 2016 release, but there’s no news yet on when it will be available now. And aside from selling goodies like T-shirts and in-game spaceships to keep the project going, CIG has recently found new ways to monetize Star Citizen that have led to even more criticism of the company’s business practices and the Star Citizen game itself. And now Star Citizen’s developer could be facing a long court battle, as German developer Crytek (the people behind Crysis) have sued CIG due to its use of CryEngine in the game. You see, the Star Citizen video game used Crytek’s 3D engine as its foundation until late 2016, when the project switched to Amazon’s Lumberyard engine. It’s likely Crytek did not take this well though, and it’s now suing CIG for matters related to its use of CryEngine in the game, as reported on PC Gamer. For starters, Crytek claims CIG did not advertise its use of CryEngine in Star Citizen enough, and that lead developer Chris Roberts himself attempted to downplay the game’s use of CryEngine technology, seemingly in violation of the GLA (Game License Agreement). “Defendants knew Crytek’s right to display its trademarks and copyright notices in the Star Citizen video game and related marketing materials was a critical component of the GLA”, says Crytek in the lawsuit, adding that “defendants’ co-founder Chris Roberts publicly sought to minimize Crytek’s contribution to Star Citizen, stating that ‘we don’t call CryEngine anymore, we call it Star Engine’”. 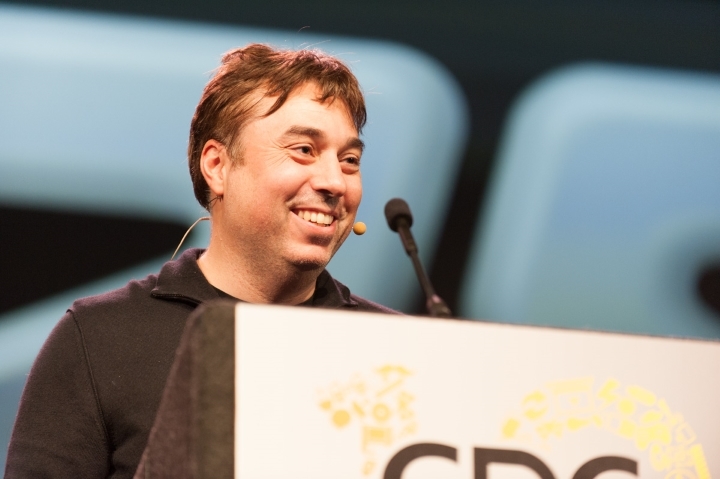 CIG and leading man Chris Roberts are now facing a lawsuit… Will this lead to further delays of Star Citizen? There’s also the issue of Squadron 42, the story-driven single player campaign which will be released separately from the Star Citizen game itself, which is the multiplayer space combat and exploration portion of the game set in a persistent universe. The thing is, Crytek considers Squadron 42 a separate game, and is also suing CIG for its use of CryEngine in the development of Squadron 42, as presumably the company only had a license to use the engine in one game, which Crytek claims it licensed to CIG at a below-market rate. Further complicating things is the matter that despite the fact that Star Citizen is now using Amazon’s Lumberyard engine instead of CryEngine, the former is also based on Crytek’s own engine, while according to the lawsuit “the GLA states that Defendants have a license only to exclusively embed CryEngine in the Game”. So, it seems that Crytek (which is seeking at least $75,000 US dollars in damages as per the lawsuit) has opened a can of worms here, and it looks like its court challenge might actually have some chance of success. It remains to be seen though, whether this will affect Star Citizen’s development in any way, something that could happen if CIG is forced to pay out a big chunk of money in the end for its apparently inappropriate use of CryEngine in the game. 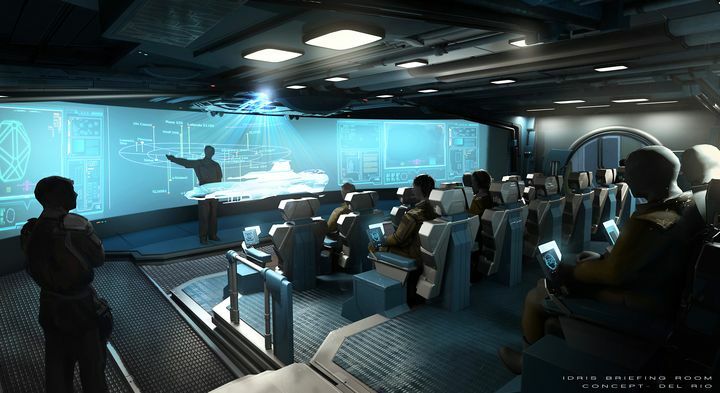 But it’s clear what many Star Citizen fans will be looking forward to is CIG’s announcement of a release date for Star Citizen and Squadron 42, as many were disappointed last August when the game’s highly-anticipated alpha version ended up being delayed again. Hopefully, though, and despite Crytek’s lawsuit and the delays the game has suffered so far, Star Citizen will end up being the epic space combat, trading and exploration game fans have been dreaming of for years now when it finally sees the light of day at some point in the future.